Mercedes-AMG boss Tobias Moers has announced the Mercedes-Benz CLA 45 AMG and GLA 45 AMG will benefit from the A45 AMG's output hike immediately. Good news for those who are about to buy the range-topping AMG versions of the CLA and GLA as Moers said the two cars will receive the A45 AMG's power upgrade from 360 PS & 450 Nm to 381 PS & 475 Nm before their mid-cycle refresh. In addition, the duo will also benefit from the other mechanical tweaks implemented in the facelifted A45 AMG, such as the revised dual-clutch 7-speed transmission which will have shorter 3-7 gear ratios while other updates have been made to optimize response and shift times. Moreover, both the revised CLA 45 AMG and GLA 45 AMG will get the A45 AMG's mechanical front axle locking differential. Although not specified, we assume the CLA 45 AMG Shooting Brake will also receive these goodies. 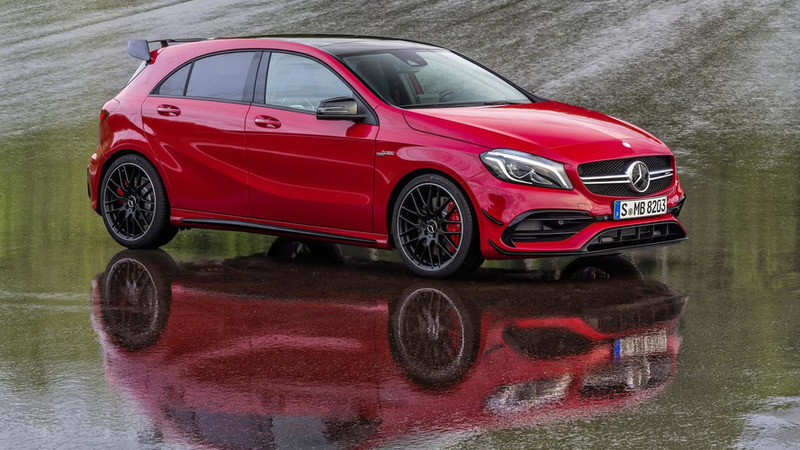 Moers went on to specify the minor cosmetic revisions implemented in the A45 AMG will not carry over onto its siblings as these styling modifications will be applied when the cars will receive their respective facelifts.